Let’s start with the astronauts: They have problems with their eyes when they return from long-term missions in the space station. This is called the “VIIP (Visual Impairment and Intracranial Pressure) Syndrome”. Sight is restricted. It has been found that in weightlessness the blood is pumped to the head and stays there because gravity is missing which could pull it down again. High altitude sickness has a very similar cause. If there is a lack of oxygen, the arteries, the vessels which lead to the brain, dilate in order to transport even more blood to the brain. The veins, which carry the blood back from the head, obviously do not have the capacity to dilate accordingly. Therefore, the blood accumulates in the head, leading to the usual symptoms of high altitude sickness such as nausea and headache. Furthermore, in the future astronauts e.g. on missions to Mars will stay in artificial atmospheres similar to those in the high mountains: low pressure, up to a certain level also lack of oxygen. 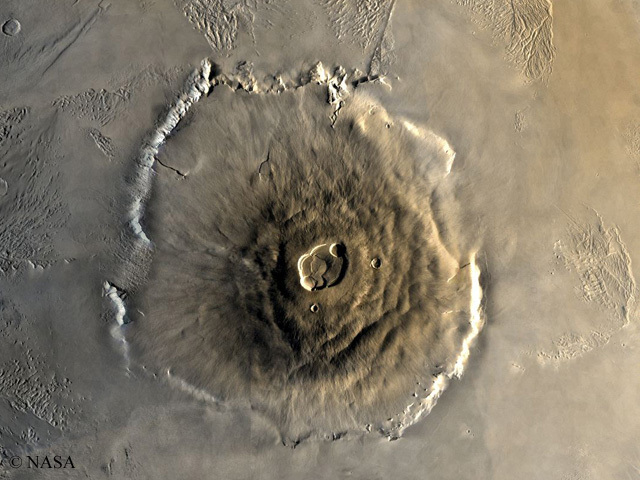 This makes it so exciting for us as space physicians to think about mountaineers. This suggests that mountaineers should be super-qualified to set off for space. Of course these are quite different challenges. But, in principle, you are right. High-altitude climbers are often very cool-headed people who can deal with extreme situations and can act very rationally. Whenever the European Space Agency is looking for new astronauts, in a first step they hand out a questionnaire, where these things are queried. You can score points if you climb or dive in your spare time, doing all these things where you have to control your body. A pillow under the head as a recipe against high altitude sickness? That sounds almost too simple to be true? It is a very pragmatic approach. We do not assume that we can avoid high altitude sickness, but it should be a puzzle part in the overall concept. 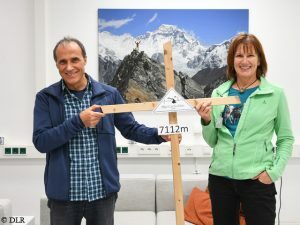 We want to show that the people who use the pillow as something like a physical therapy are less likely to suffer from altitude sickness than those who don’t use it. We assume that at night the blood accumulates in the head even more, because you are lying flat. That’s why mountaineers feel even worse in the morning than in the evening. This was proved by a study we made last year. It’s true, this recommendation exists. But we also want to prove scientifically that it works. 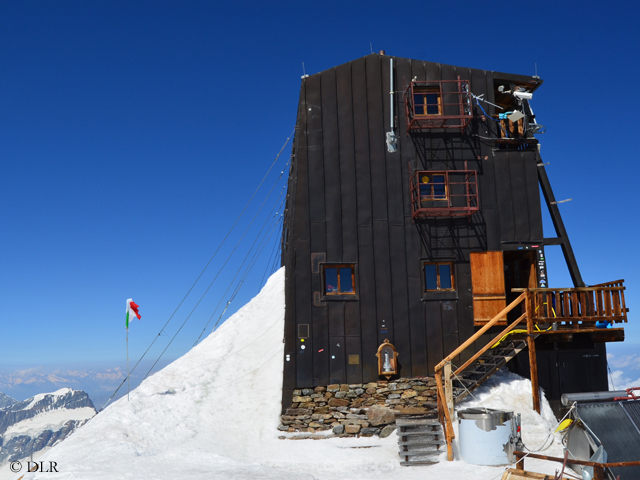 If you spend a night in a mountain hut, you will not find anyone who really does it. 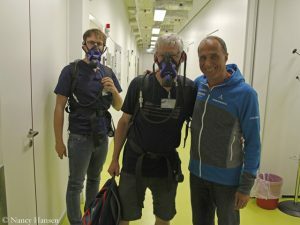 Even if you look on Internet at pictures of climbers suffering from high altitude sickness in Everest Base Camp or elsewhere: They all lie completely flat, wear an oxygen mask, have a saturation clip on their finger, but almost no one’s upper body is raised. If we can prove that sleeping with a raised upper body is really a simple and effective measure against altitude sickness, we could make the case for it even more vehemently. 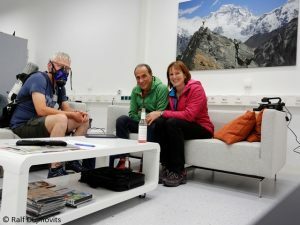 You will only record the test persons’ oxygen saturation and pulse and use a questionnaire to investigate the symptoms of altitude sickness. Is this method not too rough to capture the micro-processes that may occur in the brain? We will not be able to say anything about the mechanism of altitude sickness, but only about this: Does the method work or not? If we were to explore the mechanism, it would make more sense, instead of going to a mountain hut, to use an DLR altitude chamber, where all conditions can be controlled and the micro-processes can be looked at. 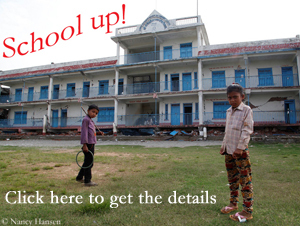 However, our study has a very pragmatic approach. 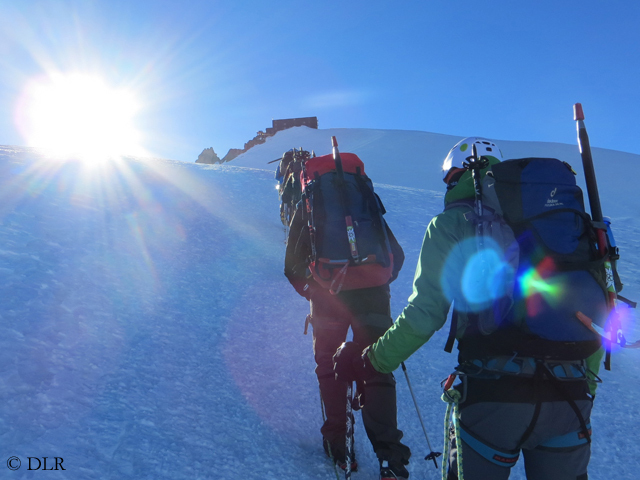 Every mountaineer will benefit if we prove the success of the therapy – or not. Therefore, it makes sense to carry out the study as simply as possible. 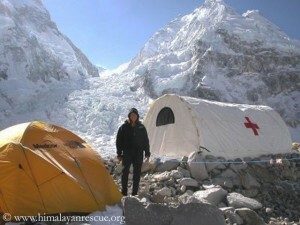 We do not take any test persons to the mountain, but work with climbers who are on the huts anyway. We assume that the less they feel burdened in their mountaineering, the more they will join in. If your hypothesis is correct, the wedge pillow should be in the rucksack of every high-altitude climber and Mars astronaut, shouldn’t it? It would be at least not wrong to take it with you.